Imagine flying anywhere you want on your own schedule. Imagine flying anywhere you want cheaper than the cost of a coach ticket with luxury better than a first class seat. Imagine doing this all with your own aircraft, an aircraft that is the safest, most reliable, and most efficient available anywhere in the world. Using state-of-the-art series hybrid technology, the engineers and designers of Volta Volaré have built the four-seat DaVinci to bring a new kind of aviation lifestyle to the world: Enlightened Aviation. The paradigm of air travel today is deeply flawed. While it may seem more convenient to travel by air than other methods, fighting through the press of crowds only to be scanned and searched, corralled from one line to another all while navigating a city block or more worth of gates just to make sure you’re at the right one at the right time…the airport experience is chaotic and tiring to say the least. And while public transportation is important part of the economy, there is a quiet revolution in the aviation industry that makes air travel far more convenient and luxurious at a cost at or below the cost of a coach seat. Become a pilot more easily than ever before. To make that level of luxury and convenience possible, Volta Volare has partnered with simulation labs and instructors around the world to provide training programs for new pilots and owners of the DaVinci wherever you may be. Old pilots will be stunned by the simplicity of operating the DaVinci while new pilots will find it far easier to learn than anything this side of a glider, enabling more people to fly and be a part of the new paradigm in aviation. There are plenty of reasons to enjoy the luxurious back seats as well. The DaVinci's plush seats offer plenty of room to stretch out and enjoy the beautiful view through the wrap-around windscreen. With a plethora of selections for work spaces, connections, and media options, you can be as productive or entertained as you choose to be. Fly in first-class leisure for the cost of a coach ticket on your own schedule anywhere you’d like. That’s Enlightened Aviation. The company sees the plane being attractive for its low cost of operation and its environmental friendliness. Aviation gasoline (avgas) is typically leaded fuel, which has been gone from motor vehicle fuel since the 1980s. On a 200-mile trip in a comparable four-passenger gas-engine private plane, you’d burn $80 worth of avgas, while the electricity to carry the DaVinci 200 miles would cost only $20. Absolutely certain, however, is that the DaVinci is striking in outward appearance, though whether it appeals to all tastes remains to be seen. I like it. The swept wings and its various angular fins and upturned points give it a look that is of the future, while the shape of the fuselage and windows are almost classical. The metallic finish (actually hand-crafted carbon fiber) somehow manages to be both forward and backward-looking at the same time, which is a neat trick. The future-neoclassical look is completed by that unusual rear-facing push configuration propeller. 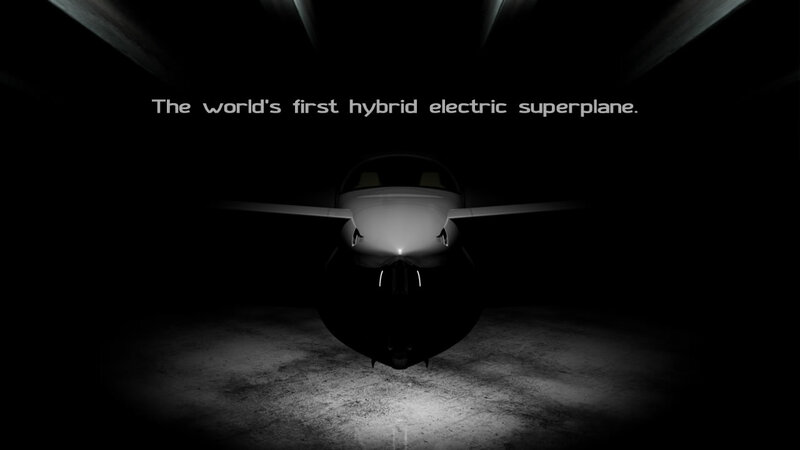 An electric plane could be significantly less expensive to operate than a conventional aircraft. A 200-mile electric-powered flight in a single-engine personal plane would consume about $20 of electricity, compared with about $80 worth of aviation-grade gasoline, and an electric motor has only one moving part, so it would be largely maintenance-free. Peterson says that such cost reductions, combined with shared-ownership models, could make personal aviation vastly more accessible.